Does the idea of throwing your own party give you heart palpitations? Make your head totally spin? Yeah, you’re not alone. No one wants to host a meticulously planned summer soirée only to run out of ice before 9 pm, spend the night indulging a DJ with an EDM obsession, or — worst of all – have no one show up. But take it from a proven party-planning expert: it doesn’t have to be that hard. My name is Carli, and I’ve probably thrown a party on just about every block in NYC. This experience has allowed me to create every (wo)man’s perfect party solution: Host Committee, a full-service event-planning company devoted to bringing your social networks to life. 1. Pick a date early on. Find a date and time that works for the majority of your crowd, and give them enough notice to plan accordingly. When necessary, send a Save the Date so you can assure it is on people’s calendars. A quiet, empty party is a host’s worst nightmare. 2. Mix it up with a theme. A theme not only gives guests direction, but lends consistency to the party, decorations, food, drinks, and invites. 3. Choose an unbeatable venue. 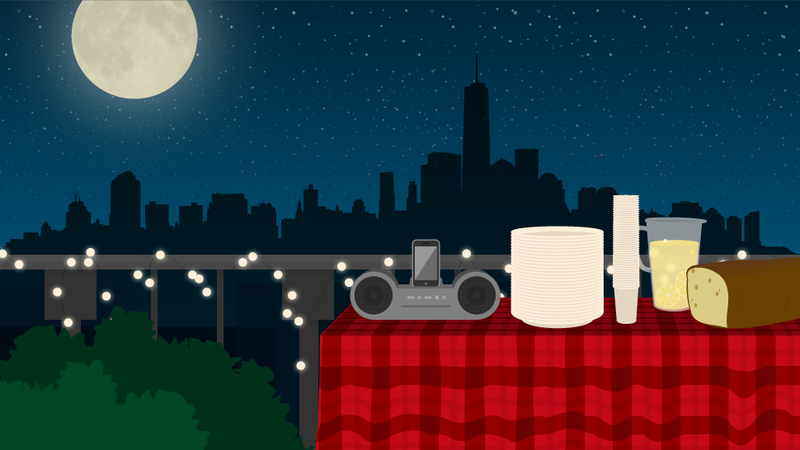 The party space is the perfect hook, so find a place that suits your theme, whether it's the perfect grassy meadow for an intimate picnic, or skyline-view rooftop for a sunset toast. The perfect location will play up the magic of the event. 4. The right music is key. You want the music to fit the vibe of the party – if it’s a classy wine n’ cheese affair, death metal probably isn’t your guests’ jam. 5. Too many hosts forget the value of good food. It's always a great addition to a party — and one that your famished guests will appreciate. It keeps guests at the party, and also keeps them thirsty – which is always great for getting people on the dance floor! The next time you host a party, be prepared, but most importantly, don’t stress – it’s a skill you acquire with time. Got a specific event that's causing you grief? Need advice on how to rent a space, or even just some tips on how to make the best of what you got in your own backyard? I'm here for all your immediate party-planning concerns, so feel free to ask a question below! Gawker's Better State of Living Conversation Series is brought to you with the assistance of State Farm®. Today, Carli Roth, Co-founder and Director of Events for Host Committee is taking a break from planning parties all across NYC to answer your questions on how to throw the perfect summer shindig.